Wreckage from a “miniature” UFO crash in North Yorkshire sixty years ago has been rediscovered in the archives of the Science Museum in London. Or has it? 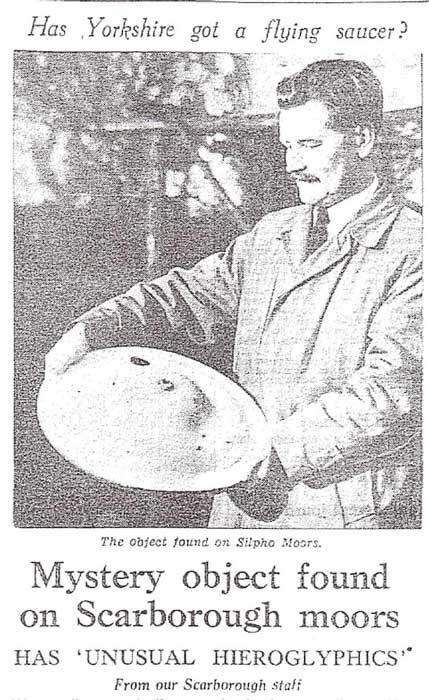 Known as Britain’s “answer to America’s Roswell incident,” the Silpho Saucer story broke on December 9, 1957 in The Yorkshire Post when ‘a mystery’ disc was found on Yorkshire moor. Scarborough businessman Frank Dickenson and two friends were driving up Reasty Hill, near the village of Silpho, and their car stalled as ‘a glowing object in the sky’ landed in Borax Forest. Mr. Dickenson found the metallic saucer in a patch of bracken, but when he returned with his friend the object was gone, so he placed a classified advert in the Scarborough newspaper and eventually bought it for £10. When the artifact was cut open a tiny book was found made of “17 thin copper sheets” covered in 2000 hieroglyphs.” Scarborough café owner, Philip Longbottom studied the disc and claimed it been sent to Earth by an alien called “Ullo" and the message warned: ‘You will improve or disappear’. Hieroglyphics were also found on the wreckage of the UFO that allegedly crashed at Roswell, New Mexico, in June 1947. Measuring 45 cm (17.72 inches) in diameter and weighing 15 kg (33.07 lbs. ), for half a century, UFO enthusiasts have speculated as to the destiny of this missing artifact. Now, parts of the “wreckage” have been rediscovered inside a tin cigarette box at the Science Museum Group ’s archive. The remains of the ‘Silpho Moor Object’ were sent to London for examination in 1963 and included a “fused section of the metal and plastic from the outer casing, a length of hollow copper tubing and pieces from the copper booklet discovered inside.” Gordon Claringbull of the Natural History Museum, who specialized in meteorites and explosives said in a memo to the Science Museum that he was ‘prepared to wager anything’ that the pieces of metal were made on Earth, reported the Yorkshire Post. 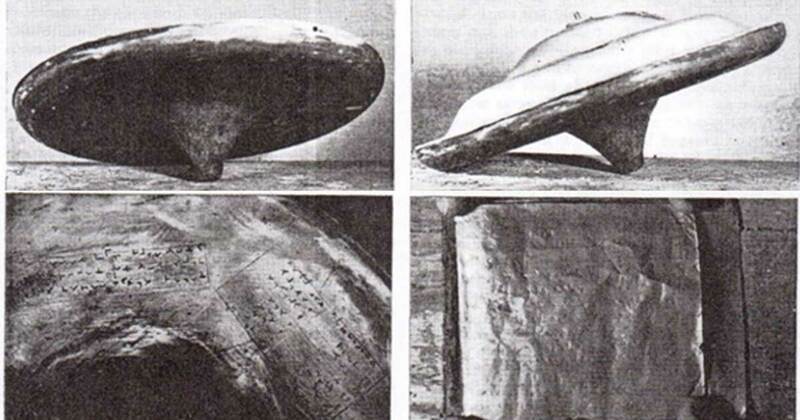 Although the scientific community was skeptical, Air Chief Marshall Lord Dowding, who led the RAF during the Battle of Britain during WW2, examined the Silpho Saucer in 1958 and believed it was “genuine.” Describing it as a ‘a miniature pilot flying saucer’ – Lord Dowding was openly convinced it was “a genuine artefact from space,” according to the report in the Yorkshire Post. Does this Enigmatic French Counter Provide Evidence for Historic UFO Sightings? 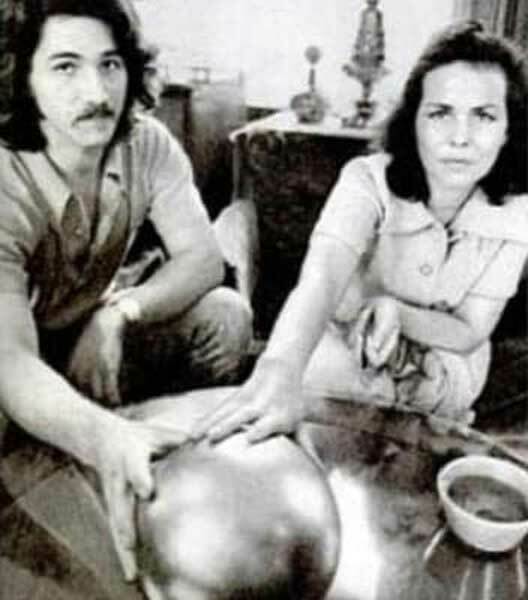 A skeptiod.com article tells that after the story broke, artist James Durling-Jones in Taos, New Mexico came forward claiming that he had used similar spheres in several sculptures. He had made a trip in his Volkswagen bus collecting scrap “industrial ball valves” in two sizes: 10-inch (25.4 cm) balls weighing about 70 pounds (31.75 kg) and 8-inch (20.32 cm) balls weighing about 22 pounds (9.98 kg), exactly the same weight and dimensions as the Betz Sphere. Durling-Jones had strapped the metal balls on his luggage rack and drove through Jacksonville around Easter of 1971 when “a few of the balls rolled off the luggage rack and were lost,” until three years later when the Betzes came along. It can be concluded that the Silpho Saucer and the Beta Sphere are unquestionably two of most famous INFOs (identified non-flying objects) in the world. For all the years and sightings there is still nothing concrete. Therefore there will be nothing concrete in the next 100 years, so go back to work or sleep, whatever, already. Sigh. Concentrate on the here and now and lets have a revolution or big nuclear war as we need a reset of some sorts. Each picture of the saucer in this article reminds me exactly of a toy I had when I was a child. The toy was a spinning metal top, shaped exactly as pictured, about a foot in diameter, and on top was a handle attached to a long screw that fit into the top, and as you pushed the handle down, the screw pushed into the top, causing it to spin. I find it interesting that there is a small round screw-hole-like node on top of this particular saucer. If the colorful paint had been removed from my toy, it would have looked suspiciously like this. The copper plates are interesting, though!